The perfect martini is always served with an olive, and on your holiday in Croatia you can have both. Have some delicious Dalmatian olives on the Martini, a 2013 Salona 38. This fantastic boat sleeps up to 10 people and features an elegant salon and fully functional kitchen. Serve up some of Croatia's best delicacies on deck, like Dalmatian prosciutto and Istrian cheese. You can also indulge in delicious homegrown produce such as oranges, watermelon, figs and cantaloupe. For nights out you can try out some of the authentic local cuisine. The Island of Vis boasts an unusual combination in its traditional bean and squid stew. It might not sound all that appealing, but trust us, the taste will have your mouth watering for more. And nothing goes better with this lovely stew than some fragrant white wine like Malvazija or Posip. 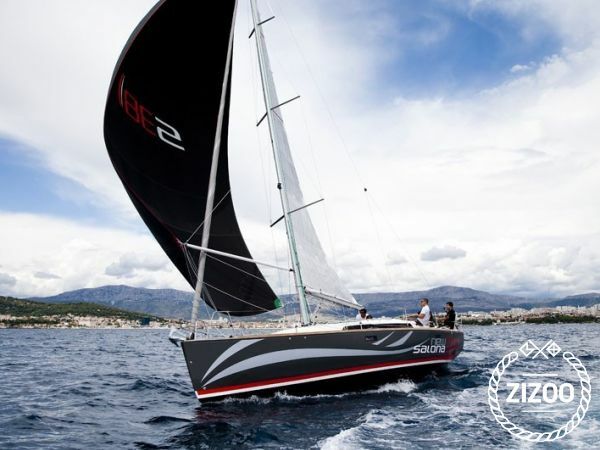 For more ideas for your fabulous sailing holiday in Croatia, please contact the local charter crew. Schöne Jacht mit gutem Handling. Sehr zu empfehlen!